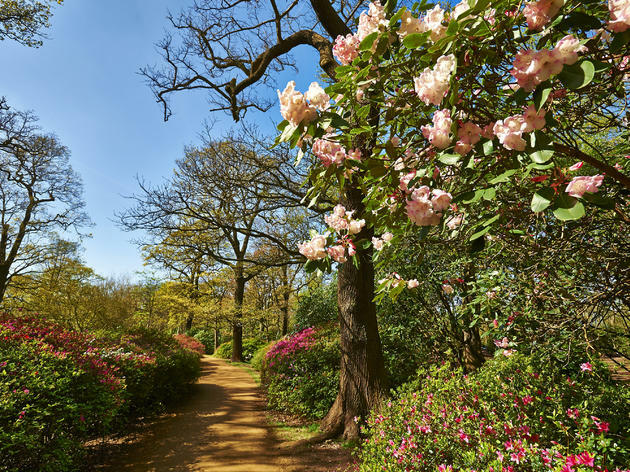 The classic Londoner’s lament – usually felt while trying to squeeze past a crocodile of tourists or the sweaty innards of the Central line – is that peace and tranquillity could be yours only if you left the city. WRONG. Unlike other cities with their fancy-pants grid systems and forward planning, London’s haphazard history – it was abandoned as a city in 410AD and only started growing 900 years later – has created unexpected micro-pockets of calm. It’s less ordered, but it’s also a lot of fun to explore. With this year set for a population growth spurt – the quest to find places that allow you to draw a breath and occupy a bubble of calm has never been more important. Some are tucked away while others are in plain sight, but regardless, they all offer a slice of respite from the relentless onslaught. There are tons to choose from, but here’s our pick of the best. 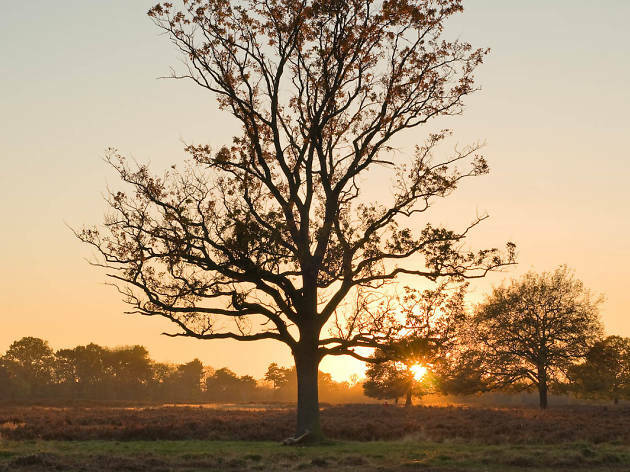 Most people cite Richmond Park as the best place for pastoral tranquillity, except it’s not particularly quiet what with tons of joggers and everyone else in London having the same idea. 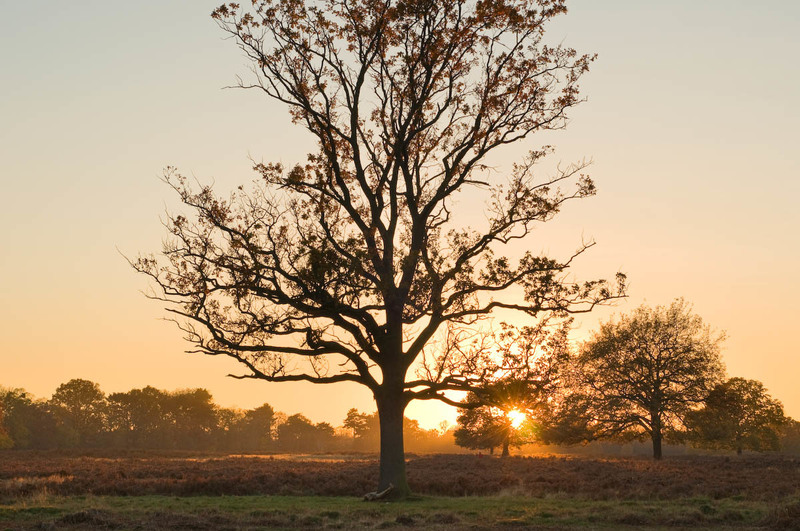 Bushy Park, which is a short distance from Hampton Court station or a bus from Kingston, is far wilder, has way more deer, and there’s a mile-long tree-lined avenue designed by Christopher Wren, punctuated by a massive eighteenth-century statue of the Roman goddess Diana. The water garden is possibly the best spot for solitude, tucked away from the crowds, where the only noise you’ll hear are ducks flapping their wings in the spray. 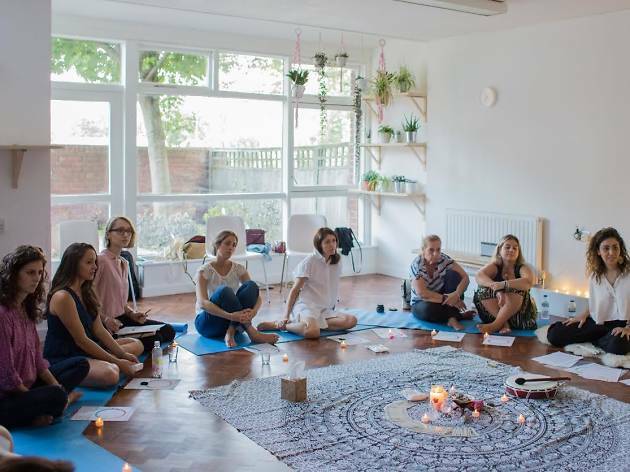 London is filled with meditation centres or places to get crafty and creative, but rarely both in one place. 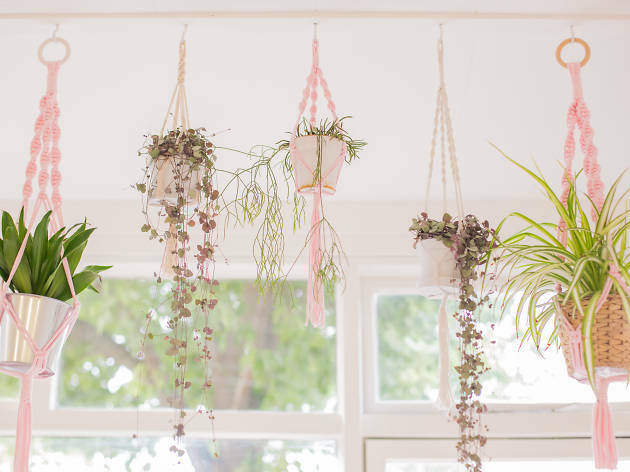 Holdspace is a light-filled space dotted with plants, for workshops and classes ranging from things like mindful hot chocolate meditation to bullet journal workshops. They also have a little pocket of outdoor space that they call a healing garden, where people can volunteer and do a spot of gardening if they want to. 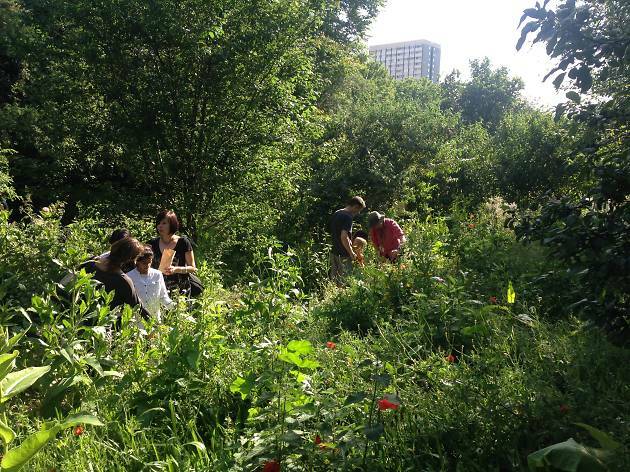 This artist-led project has transformed a WWII bombsite into an impressive garden that provides free food for local communities. We often consider the plants they grow to be weeds, but they’ve been picked for their historic and modern-day use in phytotherapy. That’s the use of plant extracts as medicines or health-promoting agents, FYI. 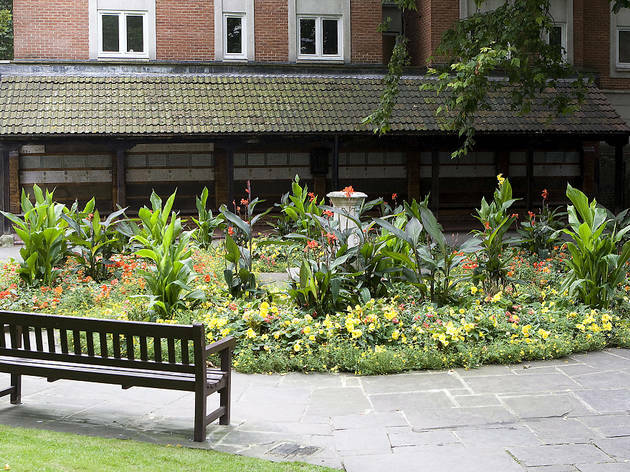 You can come down to the physic garden and pick some of 30-plus varieties of plants – with the supervision of staff – but they also have a deep investment in finding out how city living impacts mental health. 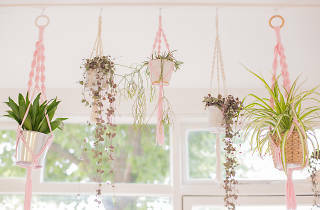 The underlying ethos is that they provide a space that acts as an antidote to some of London’s stresses. Sheltered between the Museum of London roundabout and St Paul’s Cathedral is Postman’s Park, also home to the Memorial to Heroic Self-Sacrifice. Built in 1880 over a former churchyard, the country’s first purpose-built Post Office was nearby, and this is where posties would come for a breather. 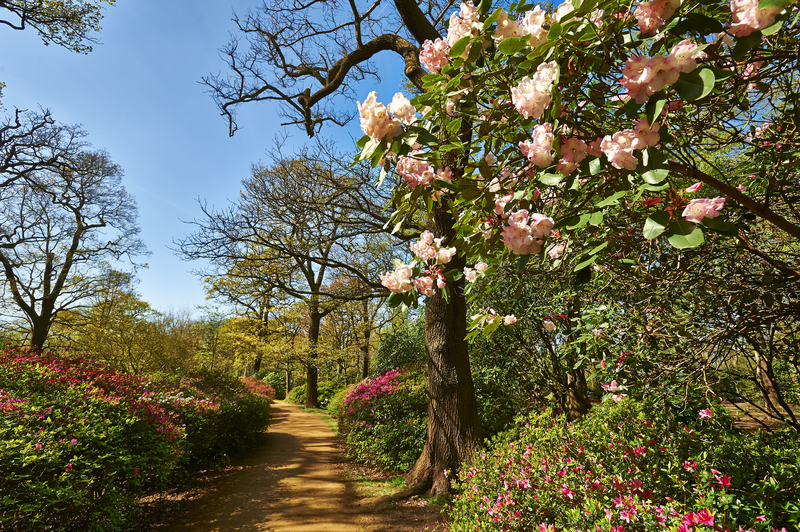 Nowadays you’re more likely to see frazzled office workers and Deliveroo drivers, but regardless of the skyscrapers that emerge around it, as the largest park in the city it remains a firm favourite for a spot of calm away from the snarl of traffic. 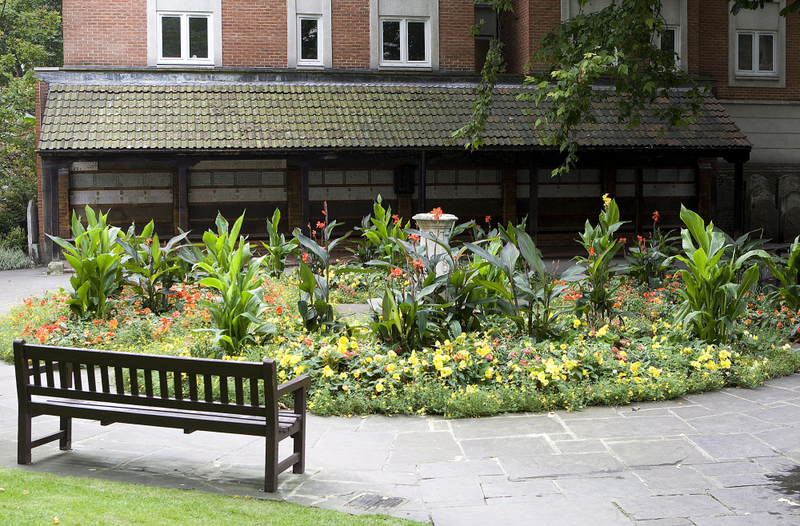 Quiet spots in London are a lottery – you never know whether someone will bumble along to disrupt the peace. 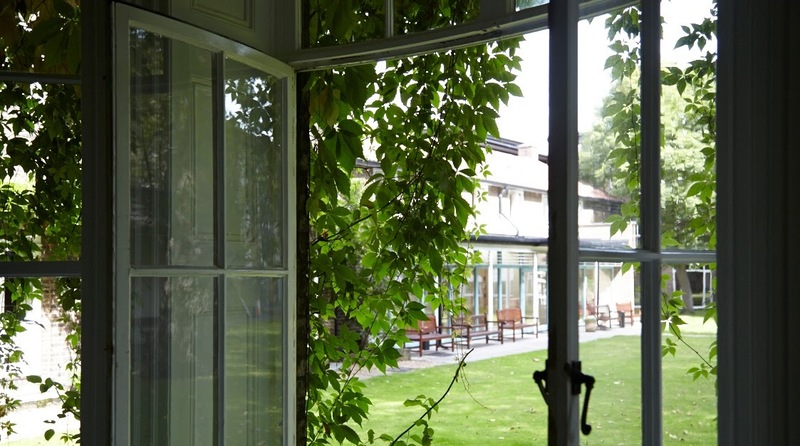 The Royal Foundation of St Katharine – which has religious ties dating back to the twelfth century – is housed in a Georgian vicarage and, among other things, offers Quiet Days. 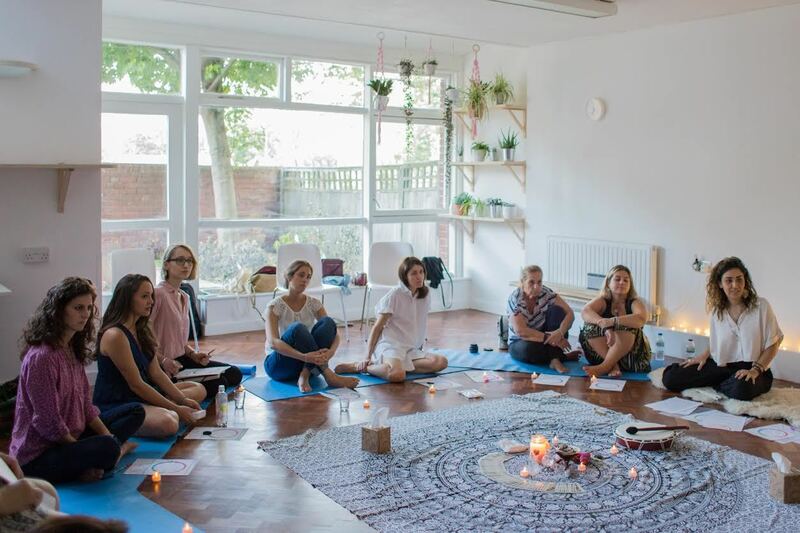 These are usually hosted by someone with religious links who speaks on a chosen topic, so if you’d rather just have a space to reflect without any religious involvement, try one of their Open Reflective Days. 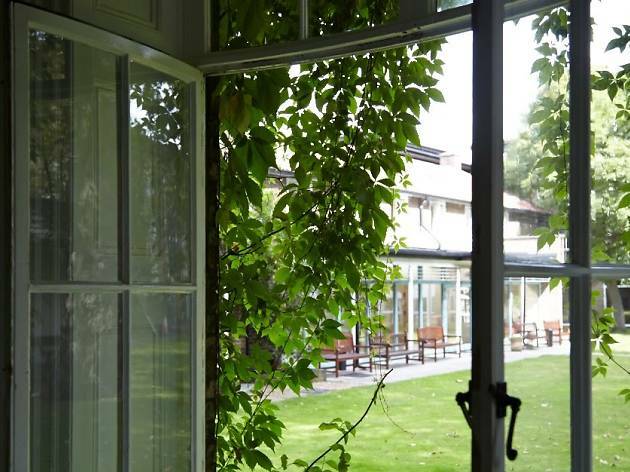 A £20 ticket gets you morning coffee and pastries, a sandwich lunch, an afternoon pot of tea and cake and free use of their calming oasis, where you can be still and quiet. The Southbank may be crawling with people night and day, but the library tucked away in the Royal Festival Hall isn’t. 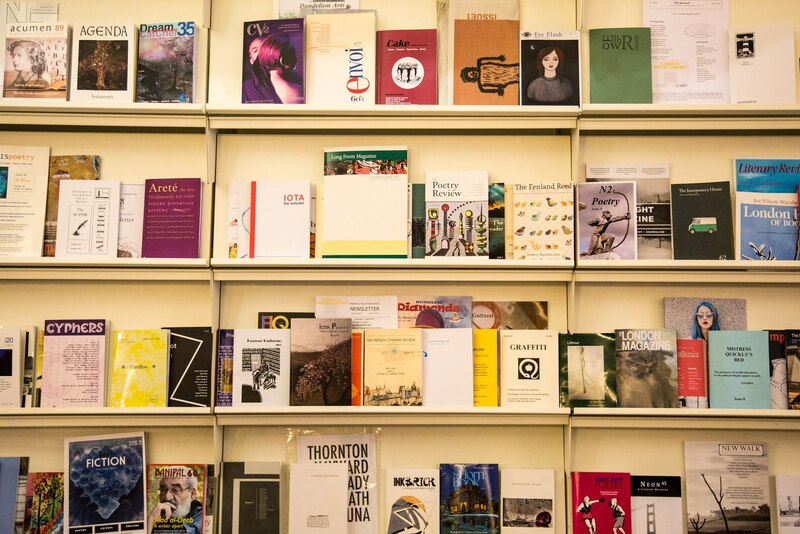 A soothing space that got a redesign this year, it houses one of the most comprehensive collections of poetry in Britain. 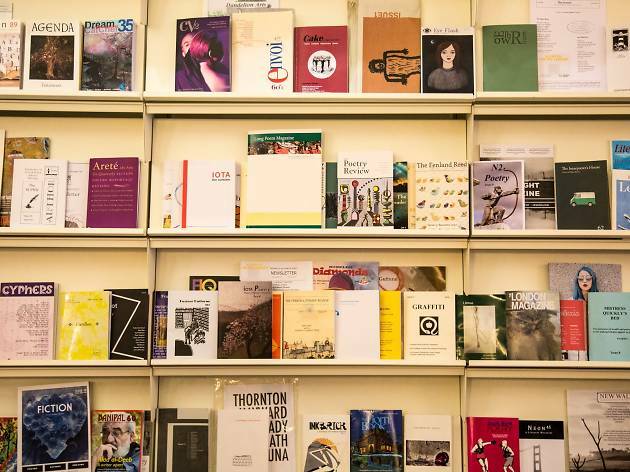 If poetry isn’t really your thing, the atmosphere certainly will be: located on the fifth floor, there are tables and quiet areas where you can sit down, read or relax far above the crowds. 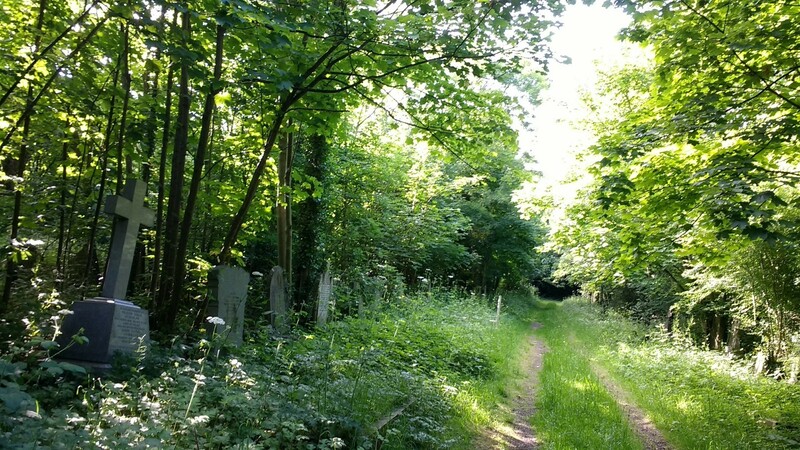 There’s a hint of wildness about the Southwark Woods. There are wildflower lanes and untamed trees – you’re unlikely to find manicured beds of pansies. But that’s what makes it all the more enchanting: a truly wild, and seemingly secret, place with hawthorn trees and brambles. 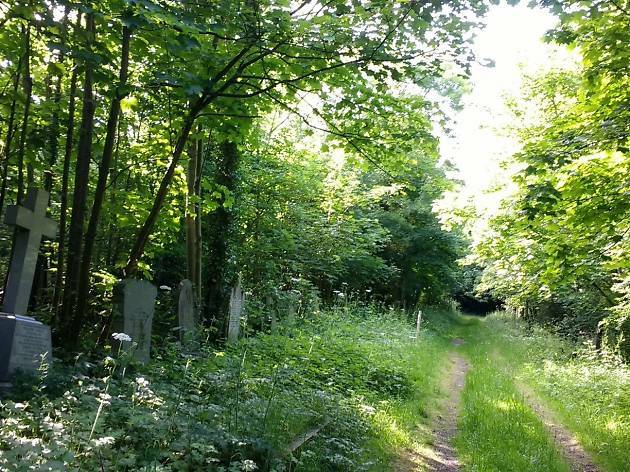 There’s a campaign to save it from being bulldozed to create more burial plots, so enjoy this dreamy place while you can. 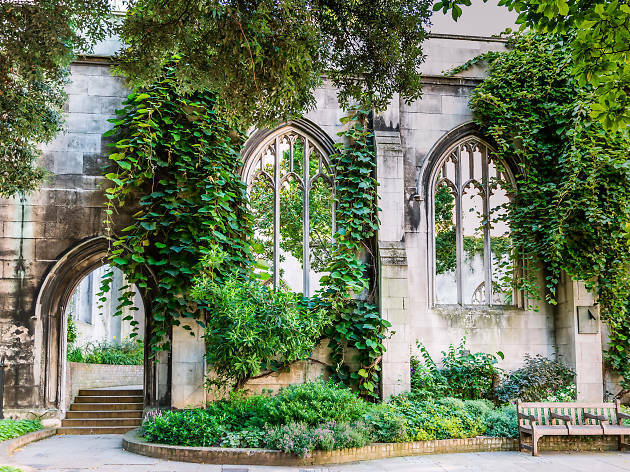 For such a small spot, St Dunstan-in-the-East has been through a lot; the twelfth-century church was almost wrecked in the Great Fire of London of 1666, but Sir Christopher Wren added a tower and steeple in an attempt to patch it up. It was damaged again in the Blitz of 1941, but Wren’s creation remains standing and now nature is reclaiming the ruins granting it a beautiful half-forgotten, peaceful atmosphere, with climbers running up entire walls. Although it’s right near a Premier Inn, its location in the back streets means most people don’t know it’s there. At any time, it promises to be a pretty spot to stop and think. 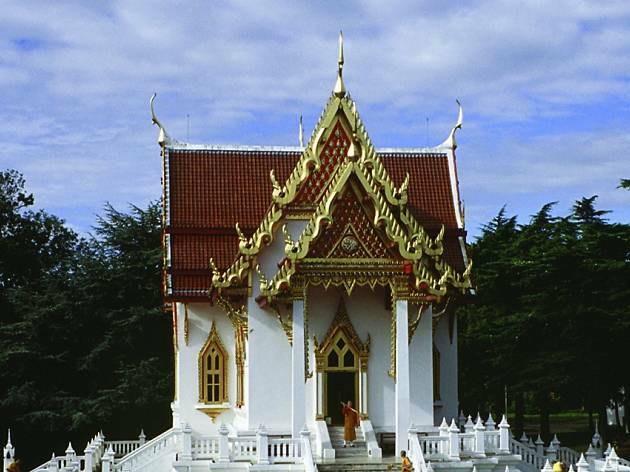 The first temple of its kind to be built in the UK, this red-roofed haven is moments away from Wimbledon Common. 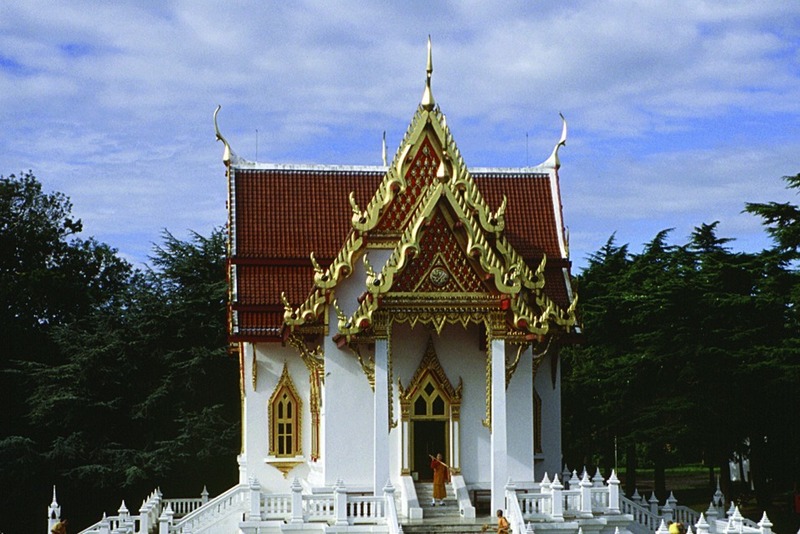 It’s a Thai Buddhist temple but anyone is welcome to visit the temple or walk around in the grounds, and the sanctuary garden is a top spot for quiet. No one speaks in a raised voice around here, and there are little signs with positive thoughts and affirmations. They also hold regular meditation classes and silent retreats. Book-related places breathe out calm, thoughtful vibes by their nature. 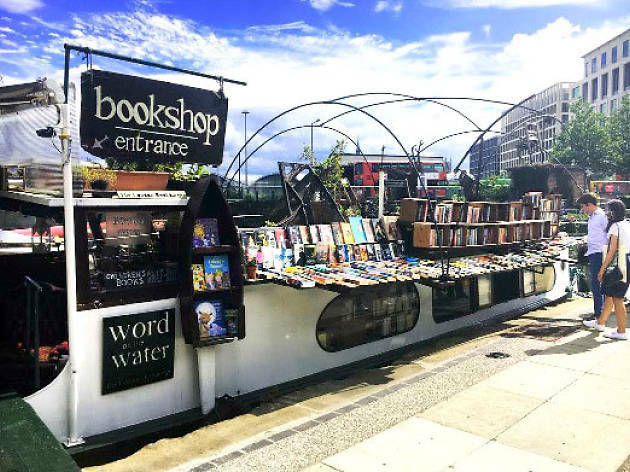 While the British Library and the reading room at the Wellcome Trust remain firm, if obvious, favourites, a rising contender is Word on the Water, the 1920s Dutch barge that has been converted into a floating bookshop. 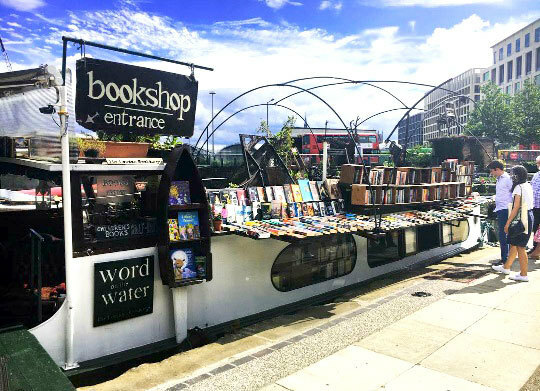 Located on Granary Square (arguably a quiet spot unto itself as long as you stick to the canal away from the water fountains), it offers a polar opposite experience to the sprawl and stress around the station.